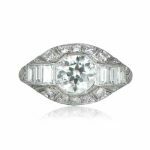 A lovely and rare Art Deco diamond and sapphire engagement ring, sporting a beautiful old European cut diamond in the center, and adorned by diamond and sapphires along the sides and shoulders. 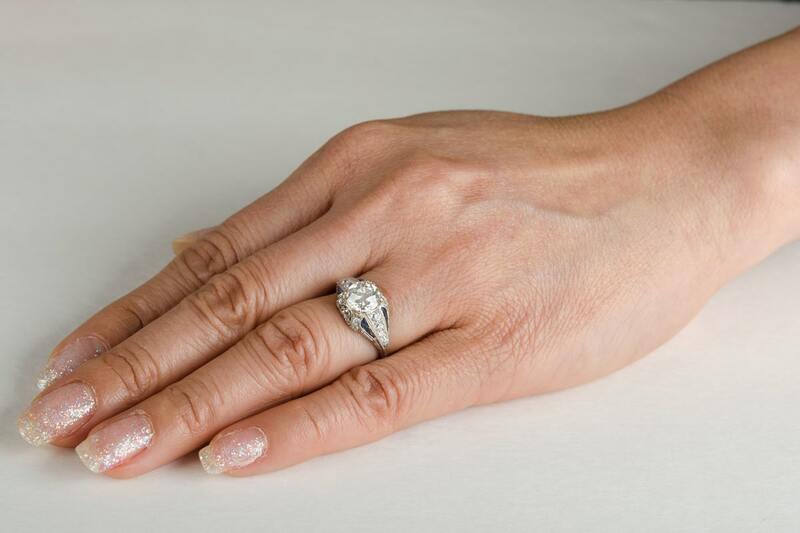 The handcrafted platinum mounting is adorned with engravings and diamonds. 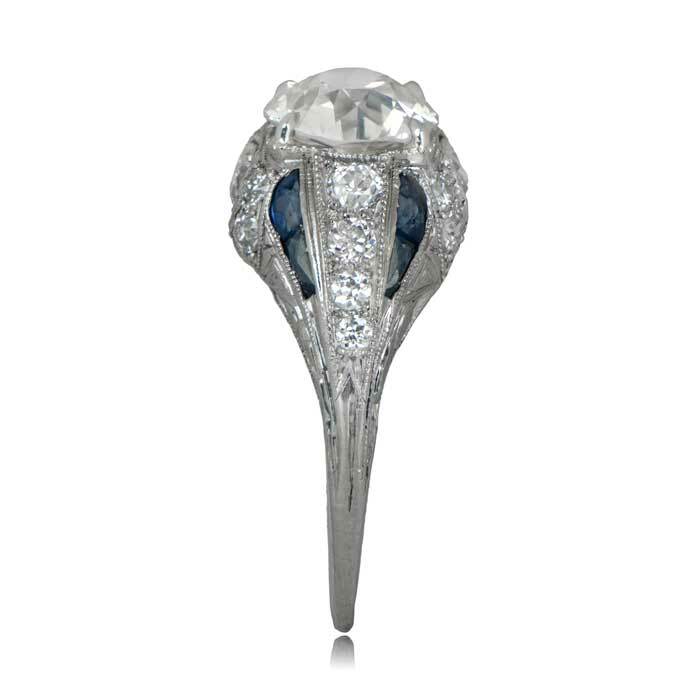 Celyon sapphires accent either sides of the shoulders. 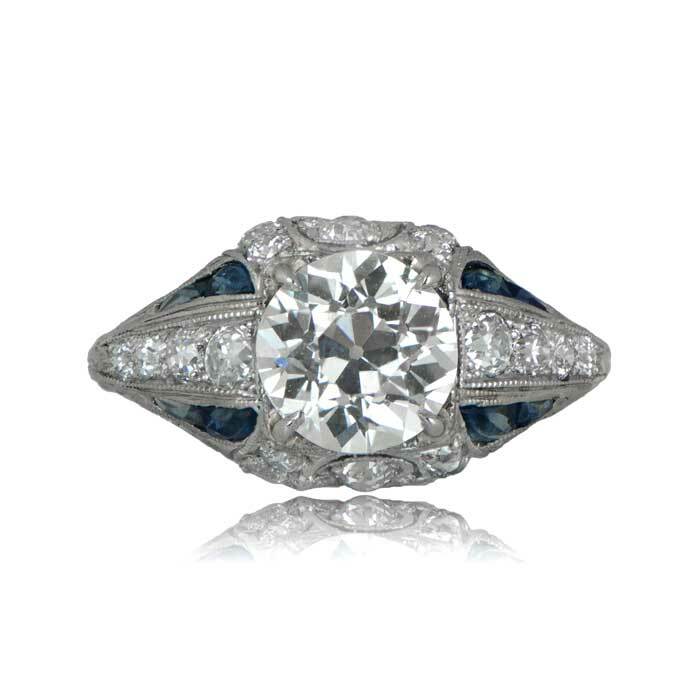 The center diamond is approximately 1.62 carats, I color and VS2 clarity. 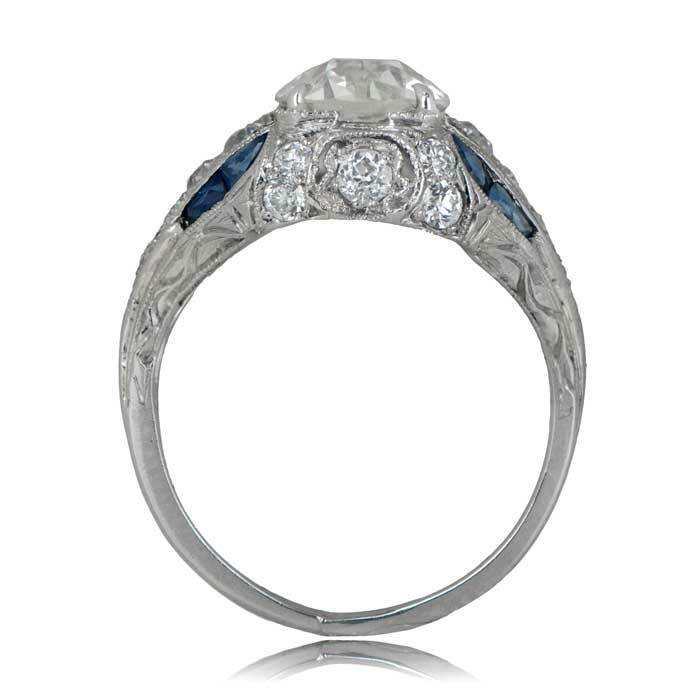 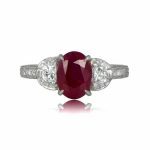 SKU: 11585 Categories: Diamond and Sapphire Engagement Rings, Vintage Engagement Rings - Contact us and request additional pictures.